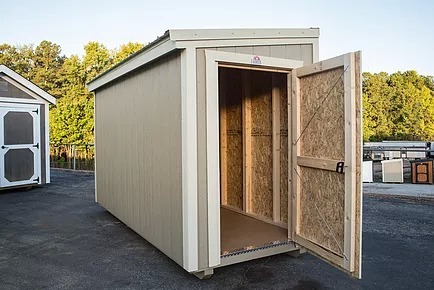 Metro Shed is a portable building company located in historic Jonesboro, GA. We build custom wooden storage sheds available in paint or urethane colors and offer both shingle and metal roof options. Our sheds are made of the highest quality materials including our 50 year warranty LP Smart Side flooring and siding. Our buildings come in sizes 5x6 up to 10x16 depending on the model. Want your building in a hard to reach area? 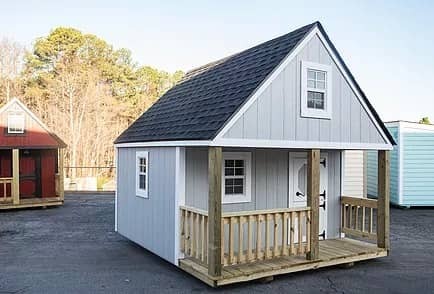 Ask us about building your shed on-site! We opened our doors early October 2016 and now have 13 sales locations around metro Atlanta and surrounding cities. Call us today to receive a quote on a shed or to find a local dealer near you. 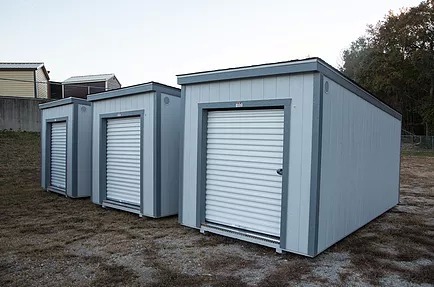 We look forward to building your custom storage shed! The Original Metro Shed was designed to be the perfect fit for small spaces outside your urban or suburban home. Our innovative design allows this handy storage building to be placed right against an exterior wall or a fence. There are literally thousands of ways to use a Metro Shed... how will you use yours? The Garden Shed highlights everything we love about our customizable buildings! 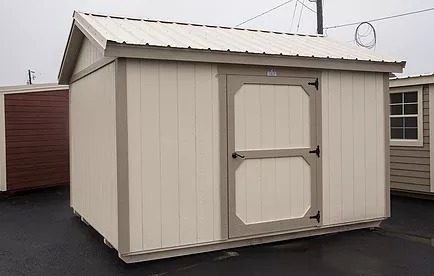 Whether you buy it standard or customize it to the max, you'll find the Metro Garden Shed to be everything you need in a stylish outdoor building! The Garage is a perfect choice for those looking for a great storage space with a roll up door. Door opening is 5' wide x 6' Tall. Metro Shed Playhouses know how to have fun! And even better, both models can be fully customized.